As you know, I have been doing reviews of various multilevel marketing companies so you can have unbiased and accurate information before agreeing to join or purchase any of the products. I was set to give you a XanGo review and when I started researching, I had to ask, where did XanGo go? From what I had heard, they were doing quite well and distributors seemed happy. So I dug deeper and realized that XanGo was acquired by Zija International. So in this XanGo review, it will essentially be a Zija International review. I will tell you about the history of the company. You will know about the leadership and a complete look at all the products Zija International offers. I will also explain the compensation plan. And last but not least, we will look at pros and cons based on what others have to say. By the time we are finished with this review, you should be able to make an educated decision if this is the MLM business you would like to have running from your home. The mangosteen fruit used in XanGo juice. Based in Lehi, Utah, XanGo was built upon their flagship product, Xango Juice using mangosteen. But they also added other products to their line in nutritional supplements, energy supplements, personal care and more. XanGo built a large operation all around the world, but many legal issues arose. Many believe the main reason XanGo had been acquired is that in 2009 an investor in XanGo claimed company founders were misusing funds. There were many harsh claims, especially against Aaron Garrity. It seems all these actions were eventually settled out of court. In May of 2017, Zija International acquired XanGo and the XanGo website now takes visitors to a Zija International website. Also based in Lehi, Utah, Zija International was founded by Ken Brailsford. The flagship ingredient in Zija products is from a tree indigenous to the Himalayas called Moringa. And, the leaves and fruit have shown many nutritional health benefits. Ken founded Zija International in 2005 and they have grown substantially since that time. One key factor to continued growth of Zija International is their acquirement of XanGo in May of 2017. A person should always review the leadership of a MLM company before deciding to join it. The leadership behind Zija International seems to be competent and will do a much better job than the leadership controlling XanGo. Ken Brailsford is an icon in the multilevel world of health and wellness. Mr Brailsford co-founded Nature’s Sunshine Products as well as Enrich international. Helping to build them to huge operations, Ken sold out and agreed to a non-compete status with Nature’s Sunshine for a certain number of years. So Ken moved into brokering stocks, but when the non-compete expired, Ken went back to MLM starting Enrich International. Ken decided to retire but a friend showed him information about the Moringa tree which sparked interest in Ken. With ample research, Ken launched Zija International based on his Moringa research. His goal was to stay retired and let other leaders run the company. Let’s look at those leaders. Ryan worked with another company directing business development for several years before he joined Zija International. He is focused on building Zija to legacy status. With a PhD in Biomedical Sciences from Harvard Medical School, Dr. Plant ensures the products offered by Zija International are second to none. He has many years of sales experience, Jarom is a master of creating duplicatable systems to train distributors. Laura has many years experience in a variety of corporate financial roles. Matt has a Masters of Business Administration degree and almost 25 years of experience in network marketing. Dave holds 15 years of experience in the IT industry and brings his passion for technology to Zija International. Kyle is a master of marketing and works with all phases of the Zija marketing scheme. Overall, Zija International has a fine bunch of leaders with goals of taking Zija International to high places. Emulin Review: Should You Take It and Is It Safe? Zija International has as their flagship ingredient Moringa. The products they carry under this line fall into 3 categories. Plant protein mix in either dutch chocolate or vanilla bean. XM protein mix in the same flavors. Zija International also dived into personal care products under the GenM brand name. They also come in 3 categories. and GenM creamy face cleanser. See the GenM fresh citrus conditioner. GenM arctic cool comfort cream. and GenM body block deodorant. Lip balm in grapefruit, vanilla mint and cinnamon mint. Essential oils are huge and Zija International carries a huge line of essential oils and diffusers under the Ameo brand name. They also offer special blends depending on health needs. Ripstix Hydrate which also comes in tub version (glacier blue and pomegranate). So as you can see, Zija International has a huge range of products and they also have various sets of products customers can purchase. There are several methods to earn money with the Zija International compensation plan. Retail sales – earn commissions on the difference between retail and wholesale on product sales. Team commissions – earn commissions on downline sales. From what I see, the compensation plan is a binary. You can understand it better by downloading this PDF. From what I mentioned earlier, XanGo leaders were being looked at for using “under-handed” tactics. I believe this is the primary reason Zija International acquired the company. It seems Zija International is operating a fair system, but let’s take a look at what others have to say. This company is the first company to bring to market the Moringa Oleifera which is documented the Tree of Life. The same tree written in the Bible in Gen 3, Exod. 15 and Revelations 22. It is the tree touted for its healing and restoration properties, is affecting 321 diseases. It is restoring people's health, life style, and beauty. People's finances are also being restored because of the distribution model of Network Marketing. This is a company of integrity producing products that are 98% effective. It is also one of the most fun, and faithful companies founded by the Father of Herbal. Some of their products just do not taste very good. Zija International is an up and coming company in the hot Super Nutritional Market. And, it has the experience in its management team and the resources to become the premier company of its type. It offers representatives an incredible opportunity to work part-time, a couple of hours per day and to dramatically improve their health and financial standing. I get to work with some of the most positive, goal oriented people I've ever met. All I do is give away free samples to people, and about one out of five comes back and tells me they must have this product. I have found that giving back is a part of the Zija International plan. Part of that is through the Zija Miracle Foundation. Members give money, time and talents in helping others. Donated money and supplies to an abused women’s shelter, school and home for the elderly. Zija International was founded on the idea that a better life is possible with the right combination of products, opportunity, timing and endeavor. Our cutting-edge health, wellness and beauty products allow individuals to look and feel their best, be more active, and share the Natural Health Revolution. The unique and simple Zija opportunity provides unprecedented financial and time freedom to countless individuals worldwide. We invite everyone to bring their all and become their best, stretching and growing in the journey toward building their own Life Unlimited. Will Zija International add the Mangosteen Juice drink that was so popular with XanGo in the near future to their product line? Only time will tell. Since the acquirement happened just a few months ago, it does take time to integrate everything. I do not even see how it worked with current XanGo distributors. So, if you were a XanGo distributor, please tell us how you have moved into the Zija International system, if you have. Before I sign off, I want to help you get your MLM home based business growing huge. Whether you are starting a Zija International MLM business or you are with another MLM company, a key to heavy growth is recruiting. But how to approach people? I have scripts I personally used to recruit top earners into my MLM downline. They work! And I will allow you to use these scripts. You can generate endless leads and become a high-ranking MLM business owner. 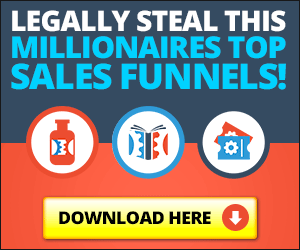 Get these top earner recruiting scripts here.